In GOPAC’s latest edition of “Top Races to Watch”, we highlight another important state in which Republicans are fighting to flip majority control of a state chamber: New Mexico. Eight Republican candidates running for the State House of Representatives will play a key role over the next fifty days as Republicans look to overturn the narrow 37-33 Democratic majority to the GOP. Except for two years in the 1950’s, Democrats have controlled both chambers of the State Legislature for eighty years. Republicans need to gain just three net seats for the majority. Republicans are looking to benefit from Governor Martinez’s name on the ballot and popularity in the state, particularly in swing districts. Although New Mexico’s 6.5% unemployment has remained below the national unemployment level, the state’s residents know they can and must do better. In order to create jobs equal to New Mexico’s potential, small businesses need to be freed from high taxes and excessive regulations — exactly what the GOP has set out to do. Republican candidates are also running on a platform to repeal the state law allowing illegal immigrants to obtain a driver’s license, as well as restoring responsibility and ethics to Santa Fe. As the first Navajo Republican woman in New Mexico history elected to the House in 2012, Sharon Clahchischilliage, is running to hold on to her seat in the 4th House District. In 2012 Rep. Clahchischilliage unseated seven-term Democratic incumbent Rep. Ray Begaye. This year Sharon will face off against Democrat Harrison Todacheene. House District 4 is typically a Democrat leaning district; however this seat is seen as less competitive as both Governor Martinez and George W. Bush won by a large margin in the Four Corners area of the state. A leader in the Navajo community, Sharon has an extended record of public service and leadership. Clahchischilliage has worked to restore New Mexicans’ confidence in government by forming an accountable government that works hand in hand with the Navajo community. Learn more about Sharon Clahchischilliage. First-term Republican State Representative Kelly Fajardo is looking to hold the seat that she won in 2012 by less than 100 votes. Democrats have made Representative Fajardo their number one target since she missed the minimum-wage vote this year. Fajardo represents a 51% Democratic district and is poised to win re-election with support of democrats in Valencia County. As a wife, mother and small business owner, Kelly Fajardo puts people before politics as a State Representative. Fajardo is focused on education reform, repealing the law that gives illegal immigrants a driver’s license, ending corruption in Santa Fe and making the state more business-friendly by eliminating red tape and high taxes. Learn more about Kelly Fajardo. 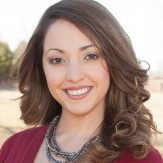 Republican Sarah Maestas Barnes is running against first-term Democrat State Representative Emily Kane who won by less than 2% in 2012. Sarah went to the University of New Mexico where she graduated and became the first person in her family to earn a college degree. She then went on to attend law school and currently dedicates the majority of her practice to representing children and adults with physical and mental disabilities, seniors and low income individuals in the community. Additionally, Sarah and her family own and operate a small business. Through this she understands the importance of making New Mexico a friendlier business environment to not only give incentives to new industries in the state but to also create more and better jobs. As a 12th generation New Mexican, Sarah will fight for what is best for the community and its future. Learn more about Sarah Maestas Barnes. A decorated police officer and first-term Republican State Representative Paul Pacheco faces Democratic candidate and attorney Catherine Begaye in his re-election for House District 23. In 2012, Pacheco won by only 78 votes. Representative Pacheco is a 27-year veteran of the Albuquerque Police Department and was named APD Detective of the Year in 2003. Now as a husband, father and local business owner, Pacheco is running to continue his service to the community. Paul is focused on continuing to help small businesses in the state by lowering taxes, leading the fight to repeal the law allowing driver’s licenses for illegal immigrants, enhancing public safety and support for concealed carry of firearms, reforming education for New Mexico’s students, bringing ethics back to Santa Fe and putting an end to out-of-control spending. 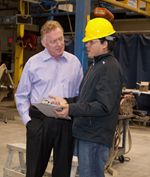 Learn more about Paul Pacheco. There will be a rematch in House District 24 where current first-term Democrat Representative Liz Thompson defeated Conrad James in the seat that he held by less than 300 votes in 2012. Conrad has a background in engineering and in 2013 he was appointed to the University of New Mexico Board of Regents, where he currently serves on the Finance & Facilities Committee and the Health Sciences Center Board. In this evenly split partisan district, James is looking to reclaim his seat and continue his work promoting efficient government and advocating stewardship of New Mexicans’ resources and tax dollars. Learn more about Conrad James. Two-term Republican State Representative Terry McMillan will look to hold his seat against Democrat Joanne Ferrary who he defeated in 2012 by only 8 votes. Rep. McMillan is a fourth generation New Mexican and medical surgeon. With his experience in healthcare, Rep. McMillan is worried about the Governments’ increasing involvement in our personal lives as well as the changing landscape of Medicare and Medicaid. Learn more about Terry McMillan. Republican Geoff Rodgers will look to defeat first-term Democrat State Representative Stephanie Garcia Richard in this traditionally Republican district. 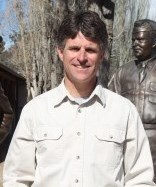 Geoff currently serves as Chair of Los Alamos County Council. He is also the former Director of Transportation for Los Alamos Public Schools and a U.S. Army helicopter pilot. Geoff is a small business owner and understands what needs to be done in Santa Fe to create an environment where businesses can succeed and grow. He sees what works and what does not through his active involvement in local government. Geoff believes it is time to stop recycling the same failed polices so New Mexico can prosper. Learn more about Geoff Rodgers. Former House member and businessman Rick Little will look to regain the seat he lost in 2012. In this competitive open seat he is up against community organizer and educator, Mariaelena Johnson. Rick has run for this seat 3 times, defeating incumbent Nate Cole convincingly in 2010, but then losing to Representative Cole in 2012 by just over 300 votes. As a businessman, Little says he has spent his career, “moving things that most people think can’t be moved.” He will bring this mindset to Santa Fe to ensure that New Mexico gets back on the right track. Learn more about Rick Little.